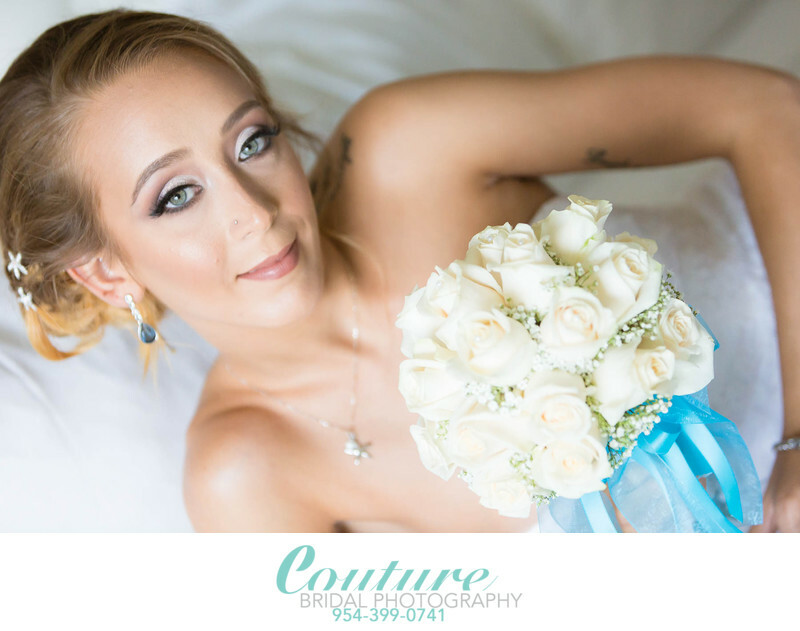 Couture Bridal Photography is the top rated South Florida Wedding Photographer serving Miami, Fort Lauderdale, Palm Beach and the Florida Keys! Couture Bridal Photography is the top rated wedding photographer serving South Florida. Since 2008 Couture Bridal Photography has set the standard for wedding photography throughout South Florida. Having served countless brides from Key West to Jupiter Florida and everywhere in between. We have been recognized among the top 20 Wedding Photographers in South Florida, Top 3 Wedding Photographers in Fort Lauderdale and Top 3 wedding photographers in Coral Springs. Couples planning wedding in south Florida find the task of finding the right wedding photographer the toughest decision they can possible make. South Florida is home to thousands of wedding photographers with a variety of prices, experience and skill level. Another factor is trying to figure our who is the hobbyist trying to make a few extra dollars on the weekend versus the professional photographer dedicated to making a living as full time professional wedding photographer. Many brides get lucky with their choice of wedding photographer, but most end up disappointed, upset and without recourse. This is the cold hard truth to finding the a wedding photographer in south Florida. Couture Bridal Photography is an established full time boutique wedding photography studio owned and operated by master photographer Alfredo Valentine. Established in 2008 in Fort Lauderdale Florida and with over 400 weddings photographed everywhere throughout South Florida, we set the standard for wedding photography in South Florida. South Florida wedding photography prices range from a few hundred dollars for weekend warrior wedding photographers starting out to tens of thousands of dollars for skilled professional wedding photographers with a strong reputation. Keep in mind you get what you pay for when it comes to wedding photography, just like anything else. Couture Bridal Photography offers the most inclusive wedding photography collections at prices most couples can afford to budget for their south Florida wedding photographer. Our prices include 2 wedding photographers, more services and complimentary engagement photography session. We offer the best bargain on south Florida wedding photography from Key West to Jupiter Florida. Compared to comparably skilled professional south Florida wedding photographers we offer more for so much less, yet we deliver the most spectacular wedding photography in the United States. Additionally, we provide a total and comprehensive wedding photography experience to all our south Florida brides and grooms. In over 8 years as a South Florida Wedding Photographer, I have photographed weddings at the majority of South Florida's most luxurious and popular wedding venues. If I haven't photographed a wedding at the south florida wedding venue where you are hosting yours, it might be worthy of a discount off your wedding photography. I love the challenge of photographing weddings in South Florida wedding venues where I haven't had the chance to capture a couples most important day. As you can see with over 8 years as a south Florida wedding photographer, I have photographed weddings at most of south Florida's wedding venues, resorts and hotels. As a south Florida wedding photographer it is imperative that I provide the best wedding photography to couples in Miami, Fort Lauderdale, Palm Beach and the Florida Keys. Another service I provide to couples around south Florida is destination wedding photography. Many couples choose to get married elsewhere in the United States, as well as in the Caribbean, South America and Europe. I offer destination wedding photography to south Florida couples looking for the best wedding photography for their destination weddings around the world. I also help brides and grooms from around the world planning destination weddings in south Florida. I have a large network of amazing wedding vendors waiting to make any south Florida destination wedding, a spectacular affair. Being a south Florida wedding photographer is the key to a successful and momentous wedding day. Keywords: Bridal Portrait (120), delray beach (36), Delray Sands Resort (9), Palm Beach (114). 1/400; f/2.8; ISO 1600; 85.0 mm.